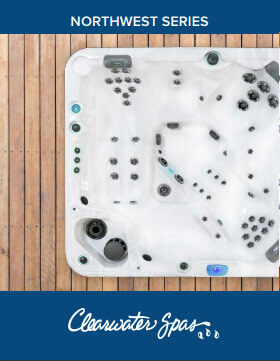 Every Clearwater spa is manufactured to our exacting standards and requirements, and your long-term enjoyment of your spa is our ultimate goal. 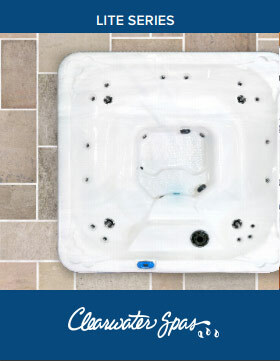 All of our Signature Package hot tubs receive a 20-Year Structural Warranty! 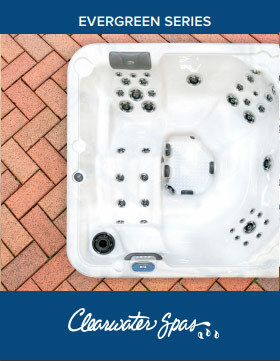 With over 40 years of award winning experience in design and engineering, the Clearwater Spas brand has become associated with the best quality built hot tubs around. 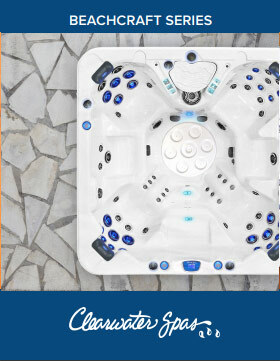 Clearwater Spas builds hot tubs differently than most others. That is why we lead the industry in overall quality, energy efficiency and reliability. 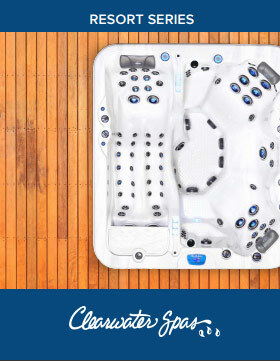 Explore our site and experience for yourself…”The Clearwater Spas Difference”. Our commitment to excellence goes back to the very first spa we manufactured, back in 1976, and is evident in everything we do. Our customers know our high level of excellence and have chosen us to be a Spa Certified Manufacturer through an independent program www.tradecertified.com.